from°a direct administration of the quarantine by ourselves. 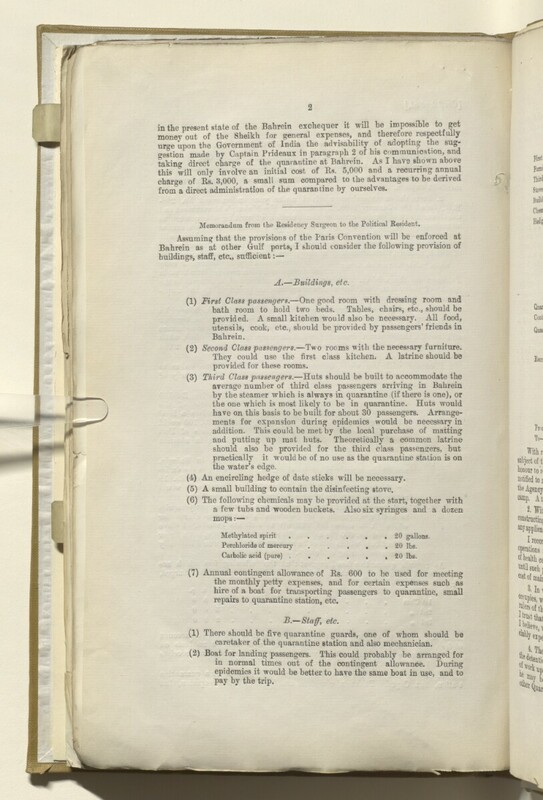 Memorandum from the Residency A diplomatic office of the British Government established in the provinces and regions considered part of, or under the influence of, British India. Surgeon to the Political Resident A senior ranking political representative (equivalent to a Consul General) from the diplomatic corps of the Government of India or one of its subordinate provincial governments, in charge of a Political Residency. .
( 2 ) Second Class passengers. —Two rooms with the necessary furniture. (4) An encircling hedge of date sticks will be necessary. repairs to quarantine station, etc. caretaker of the quarantine station and also mechanician.